As Community Shields go, it was more of a curtain twitcher than a curtain raiser but it gave the neurotic section of support a trial run to the supermarket for their pampers, so all was not lost. So we were more Bournemouth than Barca but to get a bit of perspective, with 11 men we were a goal to the good and in all probability, likely to see the game out that way. The equaliser came when we were still struck dumb from Pedro’s sending off and by the time it got to penalties, our hearts didn’t look in it. I know my heart wasn’t in it after the red card, and I wasn’t on the pitch putting up with an over-zealous ref. It was never a sending off but then Willian’s yellow was never a dive either, just a day of poor decisions all round. But if the refs decisions prompted an expletive or two, our choice of penalty takers rendered us completely speechless. Before we’d even got over Cahill stepping up first for us and tucking it away, Courtois is taking his goal kick from the spot – looked gutted none of our players were sitting in row Z to receive it though. 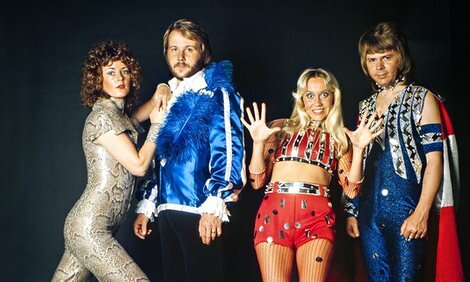 ABBA didn’t show up as promised, so when Morata passed his spot kick to Petr Cech, I couldn’t work out what Arsenal’s dancing was all about. Still, roll on the new season! Hi Chelski, naturally I see the whole 90 minutes plus a bit different to you. Yes Pedro deserved a red card but there was only 10 minutes to go and he being on the field would not have stopped the equaliser. As for Willian, sadly Chelski’s desire to dived in the box so many times has come home to roost. Tripping over your own feet in the box seems to be a new tactic. Didn’t work and at last a ref says ‘that cheating has to stop’. Finally, if Chelski cannot beat AFC second eleven ( no Koscielny, Sanchez, Ozil, Walcott, Giroud, Mustafi, Ramsey, etc) with all your super stars on show perhaps you should take a look at yr loan policy again and bring some back. Don’t suppose it will have much effect on the PL but stuffing Chelski twice in a few months will do for now.